If these proclaimations prove true, then one would have to wonder why? Why the apparent complete lack of ethics? Well, to answer my own question, aren’t ethics are only useful when one is ethical? The entire Darwinian theory is without ethics or morality, so why should one expect that the theory would be defended ethically and that arguments that support it should be based in morality? Can I show proof that the above proclaimations are true? I will use one case study and follow it through to its conclusion. My case study will be Lucy the magical Australopithecine. Lucy, one of the most recent of the Australopithecus finds, was unearthed by Donald C. Johanson at Hadar, Ethiopia in 1975. He dated it at 3 million years B.P. [Before Present]. Isn’t that nice? Just a quick question. What calendar system uses the present moment as the reference index? Apparently, the Darwinist calendar. In the year of our Lord 1979 A.D. (couldn’t help myself), Johanson and his colleague, Tim White, claimed that Lucy came under an ape/man classification (Australopithecus afarensis). Immediately, Lucy became the (quote) non-Biblical Eve of evolution. The oldest known ancestor of humankind. Entire books came into print accompanied by magazine articles and front covers of the usual suspects trumpeting the end of the Biblical account of creation. 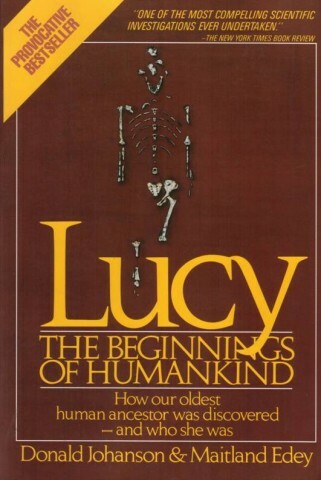 Johanson claimed, at the time that Lucy was “our oldest human ancestor” and lent his name to that claim in print, in interview after interview, and on television shows all over the world. The convincing evidence that Johanson claimed Lucy presented was that: 1) she was the most complete early human skeleton from a single source, 2) the chest was very human like, 3) the knee was very human-like, 4) she “most likely” walked upright. Assuming that the bones all came from the same creature, Lucy is only about 40% of a skeleton of a chimp sized animal. Complete? Significant portions of the large bones are missing including portions of the hip and skull. However, even before that startling 1979 announcement, the situation did not look too good for Lucy. In 1976, Johanson had said that “Lucy has massive V-shaped jaws in contrast to man” (National Geographic Magazine, 150:790-810). In 1977, Time magazine reported that Lucy had a tiny skull, a head like an ape, a braincase size the same as that of a chimp, about 450 cc. and “was surprisingly short legged” (Time, November 7, 1979, pp. 68-69). And lo and behold, the contradictions kept coming even after the 1979 announcement. In 1981, Johanson said Lucy was “embarrassingly un-Homo like” (Science 81, 2(2):53-55). Dr. Yves Coppens, appearing on BBC-TV in 1982, stated that Lucy’s skull was far more like that of an ape than any kind of man. Turns out the chest bones of the Lucy find only look vaguely human if one applies a great deal of imagination. Human chests are barrel shaped and chimp chests are more bell shaped. A reconstruction without bias, like the first one performed in 1982, always makes Lucy’s chest look bell shaped. Also in 1982, Jeremy Cherfas said that Lucy’s ankle bone (talus) tilts backward like a gorilla, instead of forward as in human beings. This, by the way, is a requirement only if one wishes to walk upright. Cherfas concluded that the differences between Lucy and human beings are “unmistakable” (J. Cherfas, New Scientist, (97:172 ). The same year, Doctors Susman and Stern of New York University carefully examined Lucy and said her thumb was apelike, her toes long and curved for tree climbing, and “she probably nested in the trees and lived like other monkeys” (Bible Science Newsletter, 1982, p. 4). In 1984, suspicions began to surface that the bones presented by Johanson and White as one skeleton came from two different sources. What was the first clue? Well, the famous leg bones with the pivitol “human like knee” was found more than three miles away. Just how fast was that 3 million year old train going when it hit Lucy, I wonder? And the leg bones don’t jive with the arm bones at all. So much for the knee being very human-like if it didn’t even belong with that skeleton in the first place. This reminded me of the brontosaurus fruad when skulls from one were placed on skeletons of another just to make the point. —Peter Andrews, British Museum of Natural History, “The Descent of Man,” New Scientist, 102:24 (1984). Today, most scientists are convinced that the bones of Lucy, in fact, come from two different sources. So much for the most complete early human skeleton from a single source. Regarding those knee joints, Richard Leakey’s associate, Owen Lovejoy, declared at a 1979 lecture in the United States that a multivariate analysis of Lucy’s knee joints revealed her to be an ape. Therefore, he concluded, whether Lucy’s bones belong to one creature or two, they are both apes. This statement, I believe, was made in an attempt to quell the rising dispute over the validity of the find though Lovejoy would take part in fraudelent reconstruction of the Lucy bones in 1994 for the PBS series Nova; In Search of Human Origins, in a vain attempt to make her appear more human. The entire theory about Lucy being a human ancestor is based on an assumption linking two fossils found more than 1,000 miles apart. —R. Milner, Encyclopedia of Evolution (1990), p. 285. Johanson, himself, finally decided that Lucy was only an ape though his concession did not find nearly the media frenzy of his 1979 announcement. None of the original furor surrounding the Lucy find seems to have panned out, yet she is still described in Museums and modern textbooks as one of our earliest ancestors. The eternal existential questions of mankind are “Where did I come from? Who Am I? Why Am I Here? What Is the purpose of Life?” Darwinists and believers answer these questions in radically different ways. Where did I come from? Darwinists claim that we came from nothing, then molecules, then apes. Believers know that we were made in the image and likeness of God (Genesis 1:27). Who Am I? Are you an animal with higher intelligence? Or, were you fearfully and wonderfully made (Psalm 139:14)? Why Am I Here? Darwinists claim that we are the result of a chance accident that made our existence possible. Believers know that we are here because of God’s love (John 3:16, Romans 5:8, Titus 3:3-5). What Is the purpose of Life? Darwinists claim that our purpose is whatever we make it, a very humanist belief that you are all powerful — you are your own god. Believers define our purpose as to know, love, glorify, obey, and enjoy God (Matthew 22:37, John 14:6, Matthew 7:23, Rev 4:10-11, 14:6-7, 1 John 4:9, Philippians 1:21, 1 Peter 2:17, Proverbs 1:7, Hebrews 5:9). Consider this. One of the strongest arguments against Darwinism is the lack of ethics and morality that both the belief and its defenders demonstrate. One of the strongest arguments for Christianity is the morality under which we live and the ethics with which we defend our faith. At the end of this mortal life, what then? Darwinists say we die, cease to exist, and our bodies rot in the dirt. Believers have faith that it really depends upon our relationship with Jesus Christ (Romans 3:23, 6:23, John 3:3, 14:16, Romans 10:9). One is a life bereft of morality because there is, after all, no accountability. The other is a life of morality because of the knowledge that all will be held accountable at some time in the future. One existence is hopeless — that is, utterly without hope. The other is a life of hope based on a promise of an eternal life. With this foundation, I will proceed to conclude this series in the coming weeks. As an agnostic, science-minded person, I thoroughly enjoyed your research based article. Thanks!! I work in research. One of the benefits of working with scientists is that in general they ARE ethical and moral, both in their work and in the rest of their lives. This group includes Christians, people of other faiths, and nonbelievers. In my experience, the idea that ‘Darwinists’ are unethical and immoral, to the extent that ‘Darwinists’ means biological researchers who accept the idea of biological evolution, is so far from the truth that I can’t take it seriously. Besides which, belief in no absolute standard to determine what even constitutes “ethical” or “moral” makes terms like these irrelevant and completely subjective. This is Gregg’s point. Of course, there exist individuals who, *despite* a belief in this amoral Darwinistic worldview, may demonstrate high moral character and ethics; ethics, I might add, as defined according to a Judeo-Christian worldview. Gregg, did you read the Cherfas article? I don’t think you did. Did you read anything that you didn’t find on a creationist website? hd — what are you implying. Did Cherfas not conclude that the talus was wrong? If I am not mistaken, the bulk of Darwinists moved off of Lucy the chimp years ago as a possible savoir of the theory. Then, almost immediately, they jumped all over Ardi the ape as the icon upon which to hang all their hopes and dreams. When Ardi didn’t pan out either, they raved about Ida the lemur. Remember him? Now, we have Tiktaalik. I think I’ll wait a few years before admitting defeat on that account. I am thinking that time will tell as it did with the previous Darwinian messiahs. It’s all a question begging argument based on a false premise, by the way. Premise 1: Darwinian evolution is true. Premise 2: Man evolved from apes. Premise 3: We dug up a pretty old skeleton of a funny looking ape. Conclusion: The funny looking ape is a transitional form between ape and man. Respectfully — That is just nonsense. While the structure of the argument is valid, the first two premises beg the question and are not supported by observational science. Therefore, the conclusion is unsound. I think there is still controversy about the details of afarensis. But I don’t know what theory you mean that needed a savior – not evolution because that is strongly accepted. Not the idea that humans evolved from other promates because that is strongly accepted. So what theory are you talking about here? It is inaccurate in a biological sense to call the ‘Lucy’, or the species Au. afarensis, a chimp. Icon to hold all their hopes and dreams??? You are into the hyperbole again. And I don’t know what you mean about Ardi not panning out? Lots of bloggers I read said here was way too much hype about the fossil that has been called Ida. There were claims for that fossil which using your words, didn’t pan out. That fossil is a fine fossil wherer it is, but not in the line leading directly to humans. Logically a skeleton could be the most compelete and at the same time, only 40% complete. My point was not complicated. My point was that he found that the talus was facing the wrong way, like that of an ape, making upright walking impossible for long periods of time. My dogs can walk upright for short periods of time, and their talus faces the wrong way as well. I have no doubt that this simple point is wrapped in layers of complication. It takes that to rationalize all of the assumptions. The theory in question is that man came from ape. Man and ape are not the same kind and there is no sound evidence that one arose from the other outside of Darwinists impressionist artwork. Biologically, Austrolopithicus aferensis most closely resembles the chimpanzee out of all living apes today. So, while not accurate in detail, it is fairly accurate in drawing comparison. Ardi is also not a human ancestor is what I meant. The ridiculous media frenzy that greeted Ida is something that most Darwinists would probably like to forget. I also realize that Ida was not a lemur, strictly speaking, but it is a fairly accurate comparison. What is complicated is what Cherfas said. I’ll have to look again to check, but I think he said ‘Lucy’s’ talus bone had one shape and the other afarensis talus bones had a more human-like shape. There was/is some controversy about whether the ‘Lucy’ skeleton (I hate how they give names to skeletons, esp. because that is a family name for me) was a female and the larger skeletons were males, or whether they were two different species. But I don’t think Cherfas said that Lucy could not be bipedal because of the talus, just that she might walk more awkwardly – and could also still climb trees. I get the feeling from your writing that to you these fossils have to be categorized as either human-like or ape-like, where ape means chimp or gorilla. The whole idea of transitional species or characteristics is that there will be a series of variations between human and an earlier primate ancestor which was also the ancestors of chimps and gorillas. Also, Cherfas was a journalist. He did not do this research; he was just writing an article about it. So to cite him as if he had made some definitive judgment to me is inaccurate. I think you’re wrong about Ardi not being considered an ancestor to humans; I think Ardipithecus is considered an ancestor to humans, or at least related to an ancestral form. As I said, I don’t know much about this area, and the details so you could post citations about this. But Ardipithecus was chosen by Science magazine as the 2009 discovery of the year, and I don’t think there’s been a big change. Talk Origins has a detailed examination of this incorrect claim with the heading ‘Lucy’s knee joint’. According to TO, Johanson was asked after a speech how far from Lucy the knee-joint was found. His anwser was two to three kilometers. However he was not talking about the knee joint from the Lucy skeleton, but a knee joint from a separate afarensis fossil. This misunderstanding was used by a number of creationists to cast doubt on the Lucy find. The TO essay describes many attempts to get various creationists to fix this incorrect information in their publications or websites, but the misinformation continues and now you are passing it on yet again. I assume you took this quote from a creationist source, not from reading the actual article. The reason I think that is that the article did not include “[Lucy]” in it. Many creationist websites do include the word Lucy in their post of this quote. This is important because there is a difference between the particular skeleton labelled ‘Lucy’ and the sum of all the different fossils grouped as afarensis. The way you have included ‘Lucy’ it misleadingly suggests that the bones in the so-called Lucy skeleton were actually a mixture of two different speceis, invalidating the Lucy skeleton. In fact, the quote is referring to all the fossils grouped as afarensis. There were other bones that were larger than Lucy’s. The conclusion by Johnason and others was that the difference was due to Lucy being a female and the larger bones being males. An alternate view was that Lucy’s skeleton was a different species than the larger bones. There was controversy and I think there still is. But the controversy is not about the Lucy skeleton itself. BY putting in the word ‘Lucy’ which was not in Andrews’ actual article, you have muddied the waters. I think this is a false statement and I think you have no citations to back this. I think you drew this conclusion from creationist websites and did not check to be sure it was accurate. I have already stated, many times, that I do not believe Talk Origins to be authoritative. It is essentially a religious site dedicated to the Darwinian faith. Still, if it is a mistake, then I redact it. Not sure if it matters in the big picture. Question, HD — in your view, is evolution only and always explained exclusively by the material? For example, Laws of thermodynamics — matter and energy cannot be created nor destroyed, only transformed. Material — either matter or energy. That is ALL that Darwinian evolution is allowed to use. Is that a correct statement? Nothing immaterial enters the equation. So for example, the big argument with design is that it [design] isn’t material. So design, being immaterial, is automatically excluded in the dogma of methodological naturalism. I look forward to and appreciate your answer. I’m not sure where you going with this, and I’m still thinking about it. I’m not sure what you mean by design. To the extent that a design is an immaterial idea, it could not play a role in evolution unless it was physically imposed on a living organism. If you’re thinking back to cosmology, I know nothing about that. I’m interested in the abiogenesis, biological evolution parts. About the big bang, when people say the universe started from nothing, no space, I imagine that this point of nothingness which expanded into the universe was within a something which we have no ability at all to observe. But it’s not a topic I can talk about usefully. No, not cosmology. In terms of a hypothetical abiogenesis event or, say, so-called useful mutation being the primary engine for biological macro-evolution — is every part of that something material? In other words, the ONLY thing that can be allowed into the evolutionary equation is the material, either matter or energy? So, for example, God is a creator but God is immaterial. One cannot qualify, quantify, measure, or weigh God so God (or any supernatural or immaterial force) is excluded automatically from the equation. Is my understanding correct? If a physical event occurs, there is no way to investigate whether some hypothetical supernatural action caused it. A supernatural action is by definition not observable or measurable by physical methods. Science observes and investigates the physical world only. To try to attribute a physical event to some supernatural entity goes beyond what science can usefully consider. All science can say is that there is no current explanation for some observation – an explanation based on hypothetical religious or supernatural forces is beyond the scope of science. Suppose there is an earthquake which kills lots of people. Science can look at physical causes for the earthquake to the best of current knowledge. Beyond that, all you can say is that an answer is not currently known. What value is there in hypothesizing that some particular god or gremlin caused it? How can that be tested? It brings nothing useful to physical information. What’s worse is when people decide that the earthquake was caused by the Wrath of some particular god or demon, and that steps must be taken to appease that god. Maybe by killing bullocks,or ‘witches’, or gays? A huge value of science is that it provides physical explanations that replace harmful paranoid supernatural ones. I assume that an acceptance of the predictability of the physical world is how you live your daily life. Suppose that a muffin that was left on the table disappears? I think the normal response is to look for a physical cause – the dog took it, or a kid or other person took it. You don’t assume that God took it to give to some starving child or to keep you from overeating, or that the devil took it to make you unhappy. You also don’t think of aliens or time travellers popping in for a quick visist. And even if you decided that the dog and the human family members did not take it, I would guess that you’d leave it as an unexplained mystery and that you still would not decide that God took it, or that aliens or pixies took it. When you sit in a chair you don’t test it with your hand first to see if the laws of chemistry have suddenly changed and the atoms of the chair were no longer bonded. When you drop something you expect it to fall and not suddenly fly up and hit the ceiling. 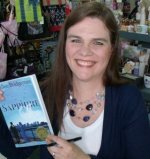 You expect that the physical world is consistent even if you believe that supernatural forces have the power to change it unexpectedly at any instant. There was a time when scientists and other people thought that there was a special life force in every cell. If research had stopped at that point, we would still be in the dark ages of biological knowledge. Because scientists continued to work at the edge of their current knowledge instead of being stopped by the idea of a nonphysical life force, they were able to discover biochemistry and cellular function. Science keeps investigating the physical universe, excluding any appeals to the supernatural, and it has been very successful in doing this. Doing experiments without worrying about the possible undetectable influence of supernatural forces has built up a huge body of interconnected knowledge. If only the material can be considered, how do you account for the presence of absolutely perfectly ordered information, which is immaterial? Not my question. Furthermore, since A T C G can fit together in any combination, how do you account for the incredibly complex and very specifically ordered INFORMATION contained in the way that they are arranged in even DNA? Information can be created and destroyed, unlike matter and energy. Information is not material. How do you account for the information contained in the order in which a protein is constructed out of amino acids? It is not random. It is highly specific and arranged in a very organized manner. I am not talking about soap bubble formation or crystallization or condensation. Those are repeating patterns containing no more information than ABABABABABABAB. My question is, if you only allow the material into the equation, then by allowing the immaterial in in the form of information, isn’t that the automatic axiom that proves that it isn’t all just material? In my view (not proof or evidence), the information arises in this way: a certain order of nucleotides results in a certain order of amino acids. If that amino acid sequence promotes a more successful cell (or protocell or organism, whatever level we are talking about) then that nucleic acid sequence and resulting amino acid sequence becomes reinforced in the population. The information is that this sequence works. The information is not imposed from outside; it arises by trial and error, by selection. If you watch the videos of Joyce and Szostak talking about the experiments they do in the lab, the videos give an idea of what the earliest phases of abiogenisis MIGHT have been like. The cells or protocells would not have begun with all the mechanisms that exist now; those mechanism developed by a process of biochemical evolution. Which amino acids associated with which sets of RNA (or similar nucleotides) would initially have been determined by their chemical bonding properties. The information in DNA is not as a whole ‘perfect’. You can see variations in the code in different organisms, and variation in some of the amino acids. I don’t know why you would expect it to be perfect anyway; I’d think you would expect it to be flawed after the earth was cursed. What you describe is actually impossible in the face of the Scientific Laws governing information. 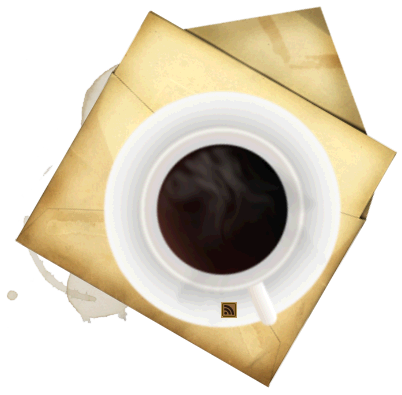 You say, “The information is not imposed from outside; it arises by trial and error, by selection.” This implies that there is a sender and a recipient == in other words some intelligent agent doing the selecting. And amino acids and proteins do not form randomly. Their arrangements are highly specific. You are correct, it is not that the randomness brings design, but rather that natural selection imposed on that randomness causes selection of those arrangements best suited to the environment, which from the outside give the appearance of design. Which scientific laws specifically prevent what hd is describing? We’re getting there. Check back Sunday. Again, proteins are highly specific now, although there can be variation, except in certain functional regions. They did not have to start out that way. No, I don’t think it implies that, or at least not in the way I interpret your words. You could call the environment the sender and the cell or organism (individual and/or as a whole population), the recipient, but neither is an intelligent agent. 1. Specified complexity is well defined and empirically detectable. 2. Undirected natural causes are incapable of explaining specified complexity. 3. Intelligent causation best explains specified complexity. Are those Meyer’s or Dembski’s axioms? I am not sure I agree with axi9om 1, but if the term specified complexity refers to what we see in living organims then I’m sure I don’t agree with your axioms 2 and 3. Since they are your axioms, I think that means we can’t have a discussion about them; is that a correct understanding of the word axiom? (BTW, when this came up before, I bought Meyer’s ‘Signature in the Cell’ and two Dembski books, ”No Free Lunch’ and ‘The Design Revolution’, also Behe’s two books (Amazon used is my friend). All I did was skim them though, but if you happen to be using those particular books, you could list pages. Or if there’s a different book you like, you could mention it. An object, event, or structure exhibits specified complexity if it is both complex (i.e., one of many live possibilities) and specified (i.e., displays an independently given pattern). A long sequence of randomly strewn Scrabble pieces is complex without being specified. A short sequence spelling the word “the” is specified without being complex. A sequence corresponding to a Shakespearean sonnet is both complex and specified. Roughly speaking, we know we have a case of complex specified information if out of all possible ways of putting together a set of elements—say, all possible sequences of a set of letters and blank spaces—only a small subset represents a prespecified target and the actual outcome belongs to this target. Meaningful English phrases, for instance, represent a small target: the overwhelming majority of random combinations of English letters and blank spaces yield gibberish. Darwinism isn’t trying to reach a prespecified target. Darwinism is sheer cold demographics. Darwinism says that my sequence has more kids than your sequence and so my sequence gets common and yours gets rare. If there’s another sequence out there that has more kids than mine, it’ll displace me. But there’s no pre-set target in this game. Why would evolution care about a pre-set place? Are we to believe that evolution is just inordinately fond of ATGGCAGGCAGT…? According to the American Mathematical Society’s online version of Mathematical Reviews, a journal which attempts to review every noteworthy mathematical publication, Dembski has not published a single paper in any journal specializing in applied probability theory, and a grand total of one peer-reviewed paper in any mathematics journal at all. According to Mathematical Reviews, Dembski has not published any papers in any peer-reviewed journal devoted to information theory.